When Nico and Christian of Kollektiv Turmstrasse start working the crowd, it’s like somebody dumping a bucket of energy on the dance floor. For more then ten years now, these two have spread their good vibes from Reykjavik to Moscow and further to Tokyo with no plans of slowing down. Some call the duo Berlin‘s new wonder-boys, but actually they come from a small town on the Baltic Sea, and have been residing in Hamburg for some time now. has also been working on their very own label Musik Gewinnt Freunde, which they started in 2006. With their big tunes „Tristesse“ and „Grillen im Park“, the guys had already played themselves into the hearts of their permanently growing fanbase. However, their big breakthrough came in 2009, with the „Kollektiv Turmstrasse Let Freedom Ring Rmx“ for Federleicht‘s „On The Streets“. 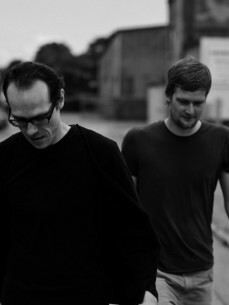 In November 2010, the duo presented their long-awaited first longplayer „Rebellion der Träumer“ (Rebellion Of The Dreamers), which came out on Connaisseur Recordings. On this album they reflect their progress of the last years and another great site of what they are doing. A lot of love, time and passion left their marks on that album for it to reach your heart and head and to take you on a musical journey. Furthermore, Kollektiv Turmstrasse released remixes of „Rebellion der Träumer“ by Jimpster and Robag Wruhme on Connaisseur Recordings in June 2011.